VSNAUTOREC, VSN’s video ingest solution, guarantees reliable content ingest from any available source: video router lines (External Feeds), VTR’s or files. The correct functioning of the content ingest system is crucial to be the first in delivering the news. 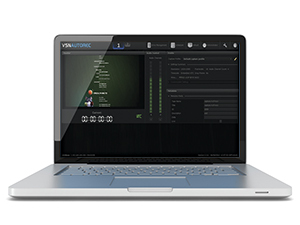 VSNAUTOREC TERMINAL allows journalists to digitize recordings from their PCs, access shared resources and to control VTRs remotely. Creation of a low-resolution version while ingesting. It controls most video servers through VDCP protocol or through their respective Native API: Omneon, Grass Valley, Harris, DVS and EVS, among others. Full management of frame accurate TCs. Controls most video routers in the market. Sophisticated audio-follow-video or independent channel management. 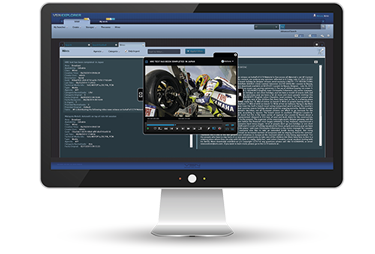 VSNAUTOREC DIRECTOR is the common video ingest application for all of VSN’s solutions. It allows to set programmed and manually recordings, control video routers, VTR and ingest video servers. Recordings from news agencies or other sources can be scheduled by entering the exact day and time and adding them to the list of automated recordings. VSN AUTOREC CAPTURER + is a SDI SD-HD video ingest server dedicated to capture video in all standard formats. The system can be configured for multi-channel ingest in a modular and scalable way. It supports edit-while-ingest for selected video formats. VSNEXPLORER integrates a newswire reception module, VSNWIRES, that allows the journalists to receive all the text and video agency feeds in real time, in an orderly fashion and classified by categories to start working with them immediately. 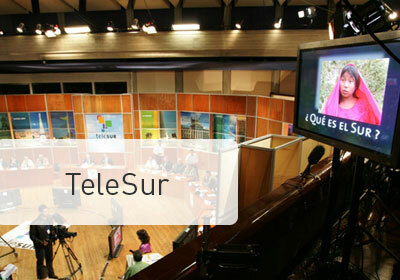 The best way for the digital recording news coming from news agencies. Servers capture the EPG and Close Captions of News Agencies, allowing for performing searches on the metadata. It has indexing, cataloging, archiving and web publishing functionalities. The user application is web based and allows for accessing content from anywhere with an Internet browser. VSNWIRES has thumbnail based navigation for easy location of relevant segments. It includes a player to view the content, export segments and add metadata. All the way from capture and ingest to multi-platform distribution. VSNWIRES allows the journalist to create compelling stories in real time while newswire reception is enabled, and to distribute them once the files are ready to be shared. Total integration with VSNSPIDER that allows for automated media movement workflows based in user rights and admission rules. Integration with the MAM system allows for the synchronization of the metadata associated to the feeds, such as length and segmentation, among others. VSN's solutions perfectly adapted to all our company’s changes and workflows. Moreover, its support service and the monitoring work that we have been receiving from VSN have become a key component of our educational environment and audiovisual productions. What?s new & real for AI in Media Management? In this VSNWebinar we go through the advantages and disadvantages of the AI services available nowadays, its practical applications on content production and media management, and the possibility of having an on-premise AI system that will guarantee accuracy, security and ownership of results. Willing to see our Ingest Modules in action?